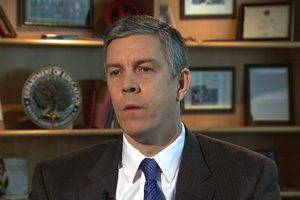 In a wide-ranging and personal interview Secretary of Education Arne Duncan talks to Gwen Ifill about growing up in Chicago, saying, “Gun violence has haunted me my entire life.” In his first interview since the tragedy, he describes how crimes against school children during his tenure as superintendent of the Chicago public school system shaped his own views on guns. And, while warning “it will never be the entire solution,” Duncan looked at the role government can start to play in trying to solve these problems. Gwen Ifill sits down with Washington Week regulars to look at how Washington reacted to this crisis and others in the past. 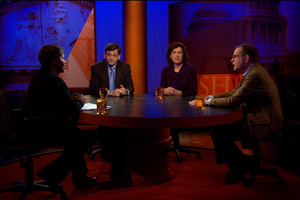 Peter Baker of the New York Times, Todd Purdum of Vanity Fair and Alexis Simendinger of RealClearPolitics discuss what may be different this time, for this President and this Congress. 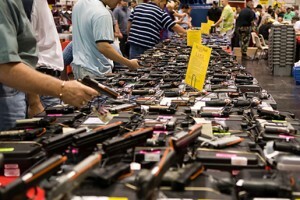 What’s Obama’s Record on Gun Control? 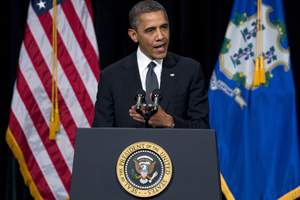 Obama has expanded gun rights during his presidency so far. Will his new call to action bring any change? 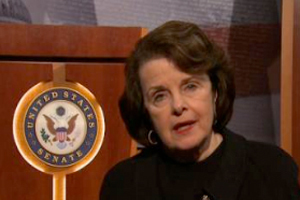 PBS NEWSHOUR: The President declares gun control will be a ‘central issue’ of second term. 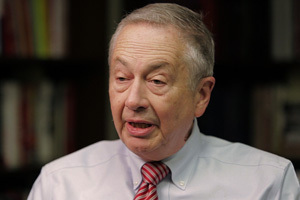 Larry Pratt, the head of Gun Owners of America wrote in USA Today that gun control advocates have “blood on th[eir] hands” for the Connecticut school massacre. Pratt believes that the solution is not fewer guns but more. John Larson sat down with him this week in Virginia. 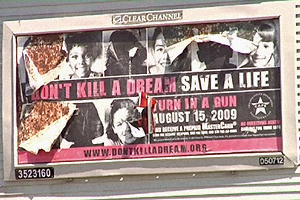 In 2010, Need to Know reported from Chicago, where there has been an epidemic of gun violence for years. The show’s producers followed a program called CeaseFire (made famous by the documentary film, The Interrupters) that seeks to reduce gun violence through mediation on the streets. But CeaseFire can’t be everywhere: this year alone, there have been over 400 gun related homicides in Chicago. Among the 11 deadliest shootings in U.S. history, more than half took place in the last five years. 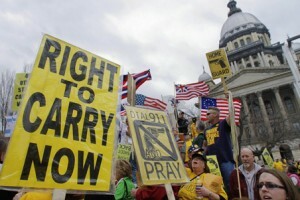 During the same period, states have often relaxed their gun laws. 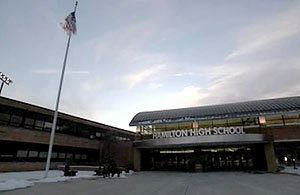 Hamilton High, featured in Cry for Help, has taken it upon themselves to do a better job to address the emotional problems of their students. From ‘stand your ground’ laws to the truth about trafficking, a selection of the most important reads on guns in the United States. If a new bill passes, it might eventually make weapons like those used in the Sandy Hook shooting less available. 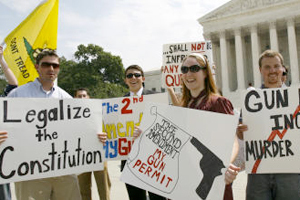 While conventional wisdom suggests that an individual’s right to bear arms is enshrined in the Second Amendment of the Constitution, it is, in fact, a relatively recent interpretation. 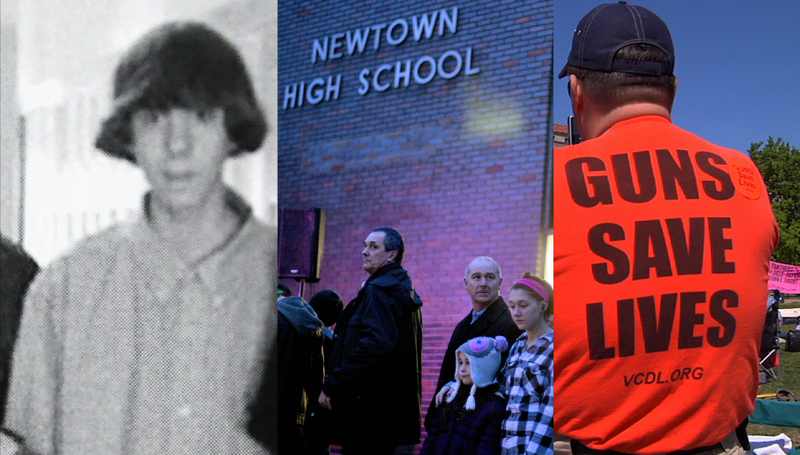 FRONTLINE: Raising Adam Lanza, a search for answers to the elusive question: who was Adam Lanza? An issue by issue breakdown of the PBS coverage of the Sandy Hook Elementary school shooting in Newtown, Connecticut. The horrific school shooting in Newtown, CT has parents—and children—asking many tough questions. How should you respond when your child asks about violence in our country? 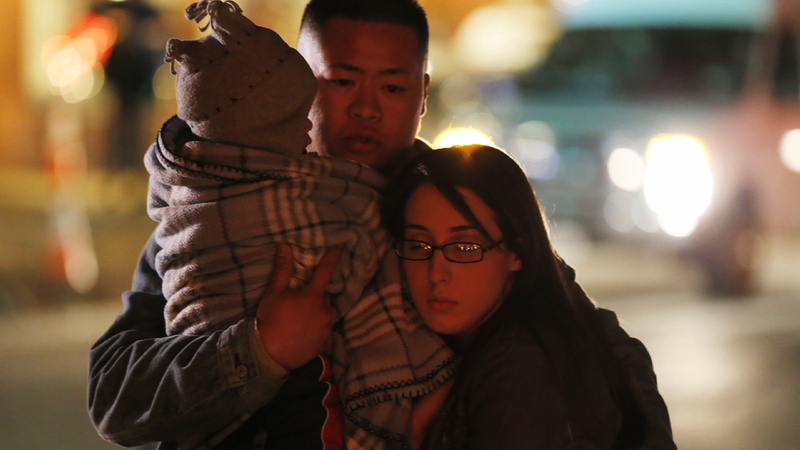 What’s being done to prevent tragic events from happening again? How can you raise an emotionally healthy and resilient child?